Sara Nazaré is a senior associate at Vieira de Almeida. She obtained her law degree from the University of Lisbon faculty of law and studied at the Paris Descartes University (Paris V) with the Erasmus exchange programme. She also attended the legal-economics master’s course at the University of Lisbon faculty of law (a curricular module of the master’s degree in marketing management at the University Institute of Lisbon (ISCTE)). 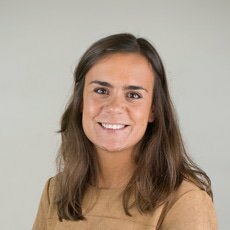 Sara obtained her postgraduate qualification in arbitration from New University of Lisbon (NOVA) and she is admitted to the Portuguese Bar Association and a member of ECTA and PTMG. Sara joined Vieira de Almeida and its intellectual property practice in 2010, providing legal and strategic advice in industrial property law (trademarks, designs, patents), particularly in the context of administrative, civil and arbitral litigation in relation to pharmaceutical patents. Sara has also authored several legal opinions published in IP and arbitration publications.